Mark your calendars to head to Sonic on 6/7. 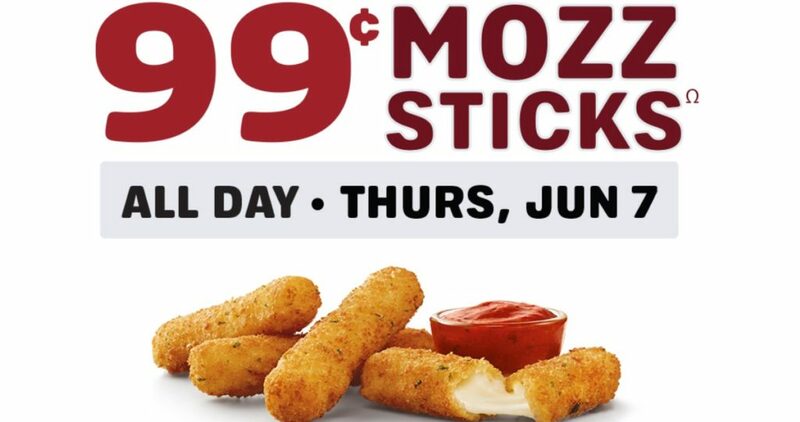 Participating Sonic Drive-In Restaurants will be offering 99¢ mozzarella sticks all day long. There is no coupon code needed to get this deal! Also, don’t forget Happy Hour is from 2-4pm where you can get half priced drinks and slushes and 99¢ Corn Dogs too. Mozz Sticks deal valid 6/7 only.